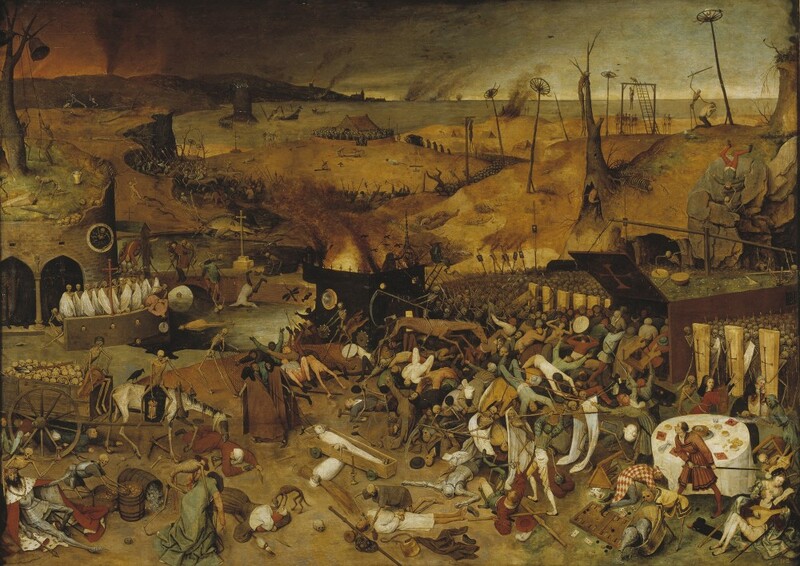 This is a bit of a detour from what we normally post about here, but it’s a worthwhile one — The Triumph of Death, painted by Pieter Bruegel the Elder back in c.1562. Given that “peasant Bruegel” was born in 1525, and died in 1569, the creation of this painting dates to only a few years before his death. 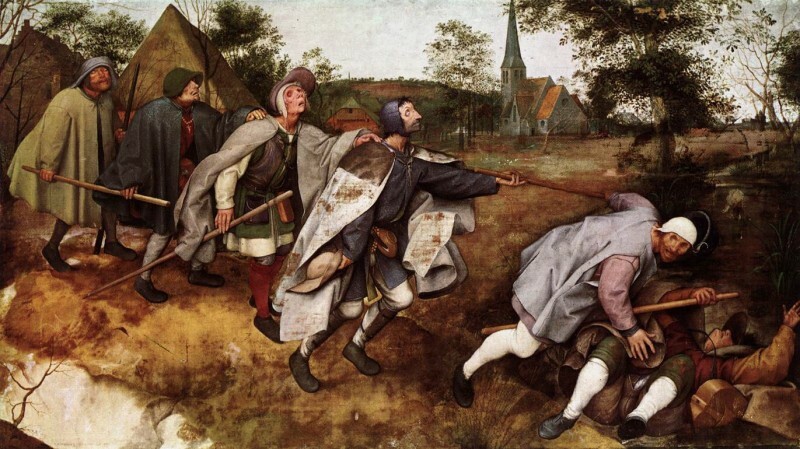 The painting dates to a very tumultuous period of time for the region where Brueghel lived — at the time part of the Habsburg Netherlands, now part of Belgium. 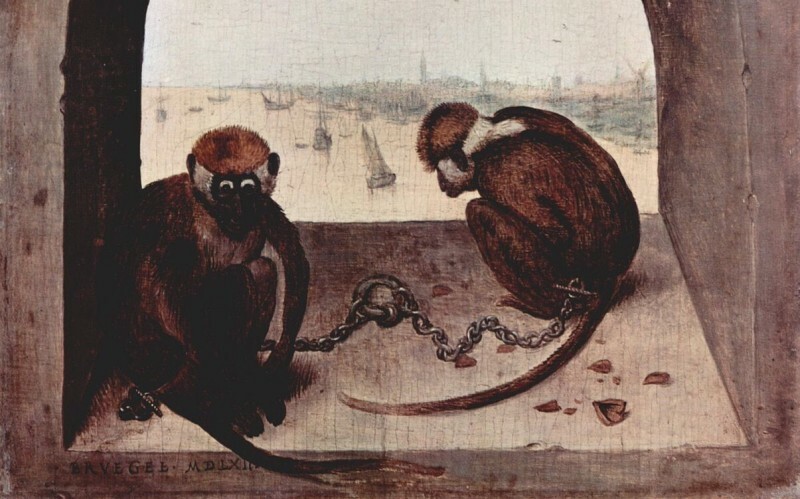 The creation of the painting predates the start of the Eighty Years War (1568-1648) by only a couple of years — and really seems to capture something of the spirit of the times. …a panorama of an army of skeletons wreaking havoc across a blackened, desolate landscape. Fires burn in the distance, and the sea is littered with shipwrecks. A few leafless trees stud hills otherwise bare of vegetation; fish lie rotting on the shores of a corpse-choked pond. 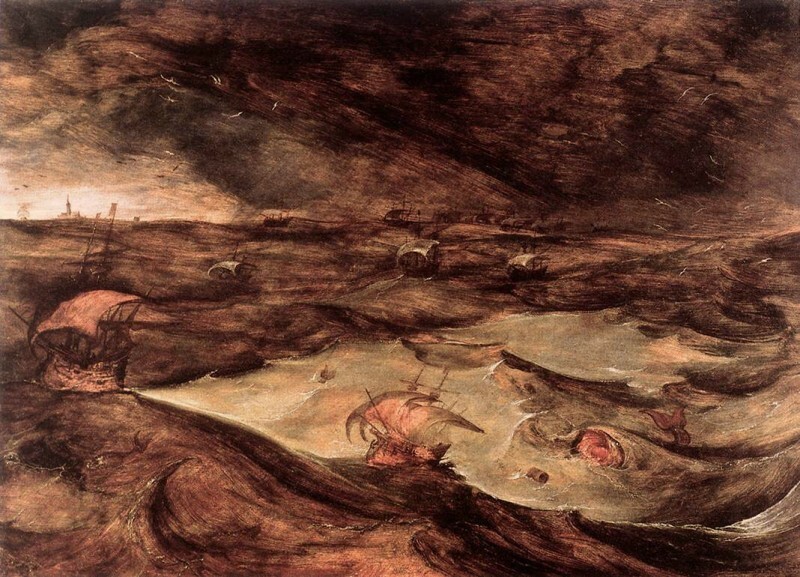 Art historian James Snyder emphasizes the “scorched, barren earth, devoid of any life as far as the eye can see.” In this setting, legions of skeletons advance on the living, who either flee in terror or try in vain to fight back. 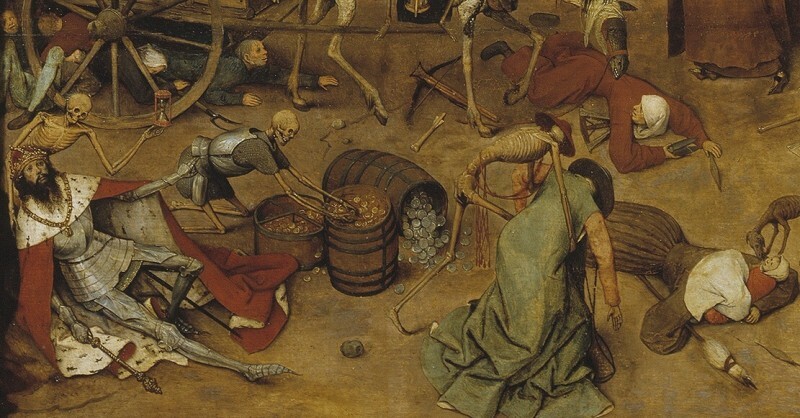 In the foreground, skeletons haul a wagon full of skulls; in the upper left corner, others ring the bell that signifies the death knell of the world. 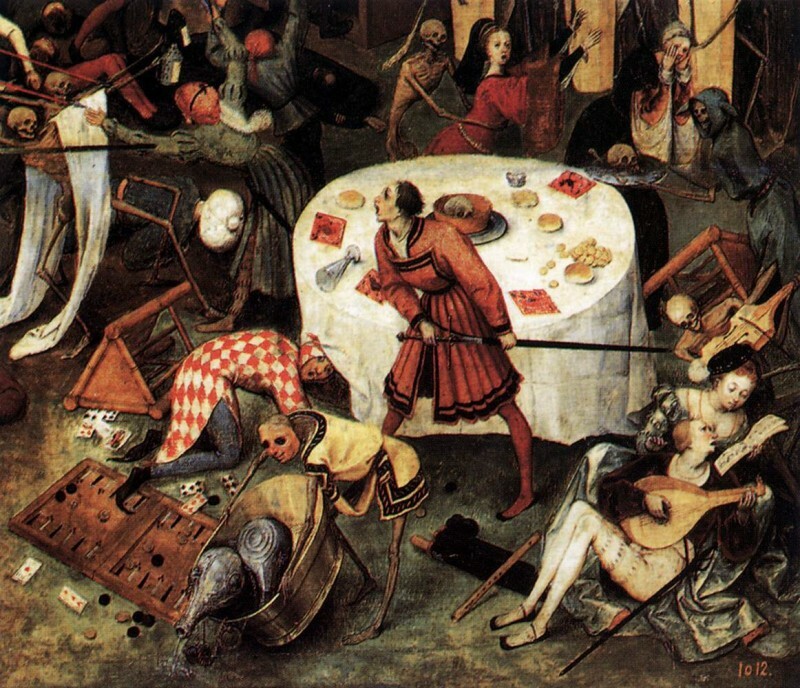 A fool plays the lute while a skeleton behind him plays along; a starving dog nibbles at the face of a child; a cross sits close to the center of the painting — while people are herded into traps decorated with crosses on the edges, while a skeleton on horseback kills people with a scythe. 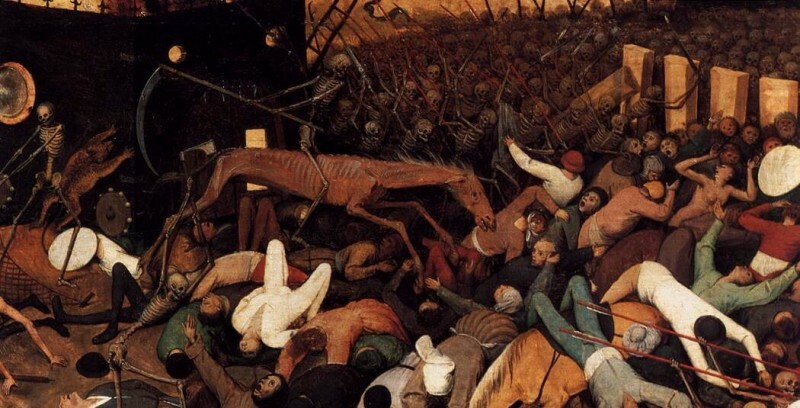 The painting depicts people of different social backgrounds – from peasants and soldiers to nobles as well as a king and a cardinal – being taken by death indiscriminately. A skeleton parodies human happiness by playing a hurdy-gurdy while the wheels of his cart crush a man. A woman has fallen in the path of the death cart; she holds in her hand a spindle and distaff, classical symbols of the fragility of human life. The slender thread is about to be cut by the scissors in her other hand. Just below her, a cardinal is helped towards his fate by a skeleton who mockingly wears the red hat, while a dying king’s barrel of gold coins is looted by yet another skeleton. In one detail, a dinner has been broken up and the diners are putting up a futile resistance. 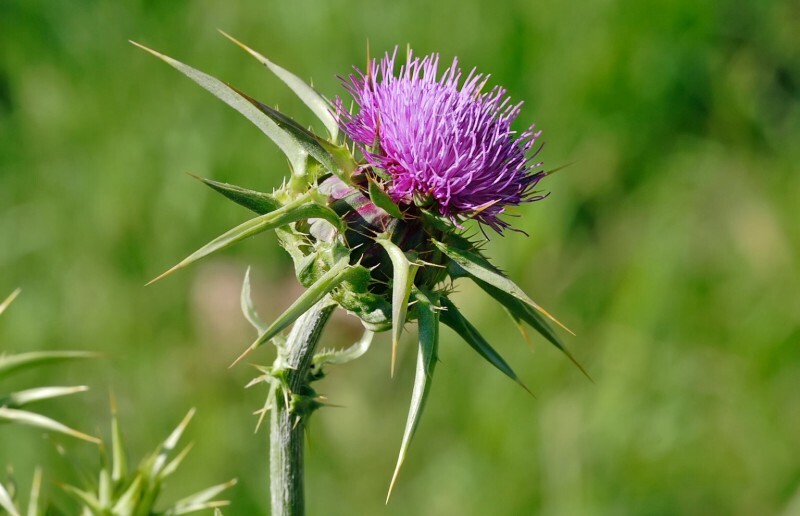 They have drawn their swords in order to fight the skeletons dressed in winding-sheets; no less hopelessly, the jester takes refuge beneath the dinner table. The backgammon board and the playing cards have been scattered, while a skeleton thinly disguised with a mask empties away the wine flasks. Above, a woman is being embraced by a skeleton in a parody of after-dinner amorousness. 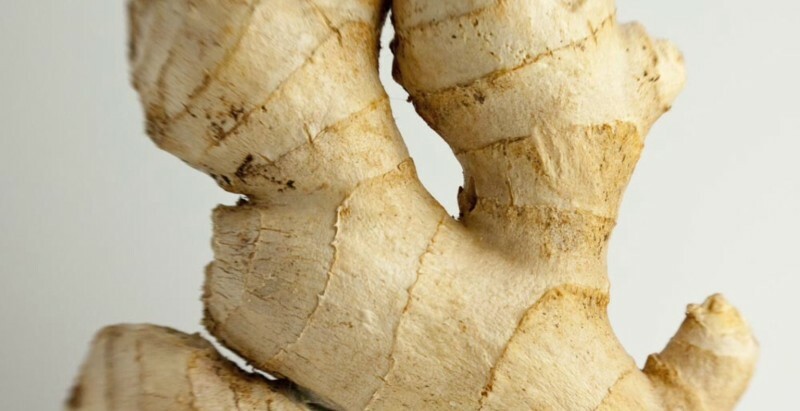 Of the menu of the interrupted meal, all that can be seen are a few pallid rolls of bread and an appetizer apparently consisting of a pared human skull. As the fighting breaks out, a skeleton in a hooded robe mockingly seems to bring another dish, also consisting of human bones, to the table.